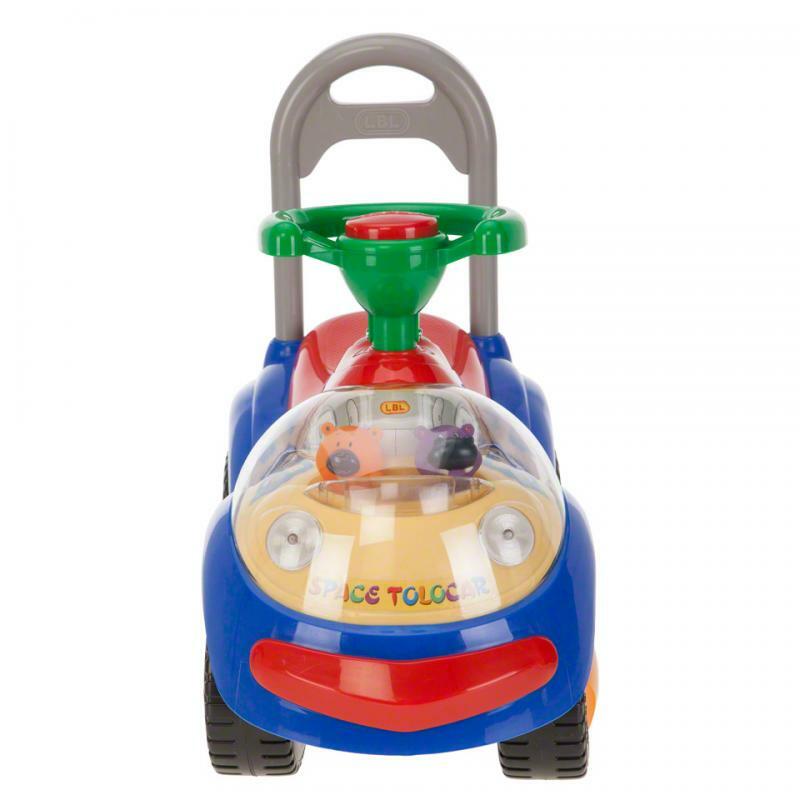 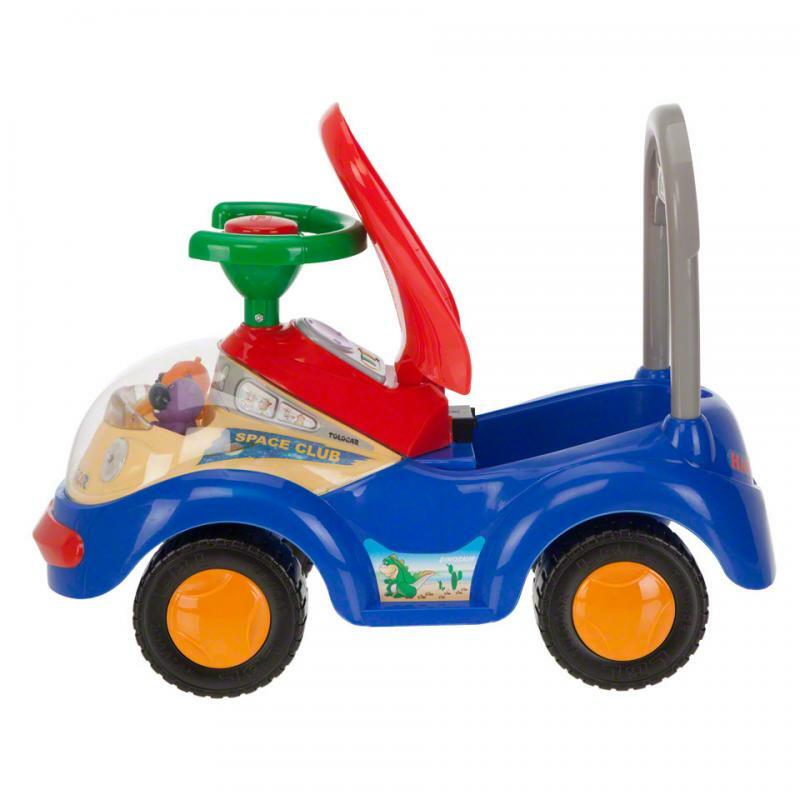 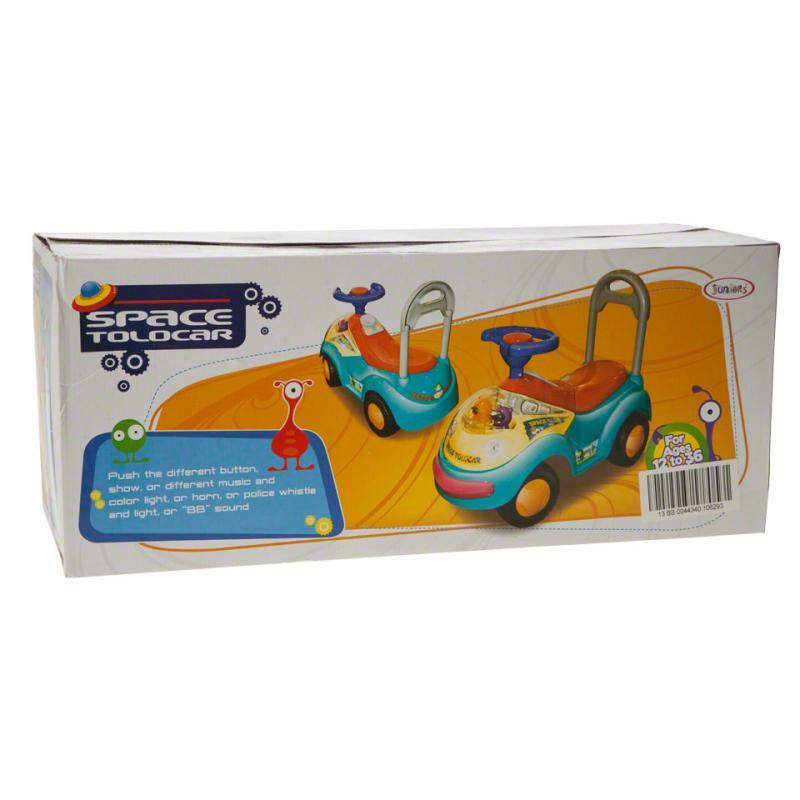 Featuring a space club theme with toys in the front, this ride on car will keep your little champ entertained. 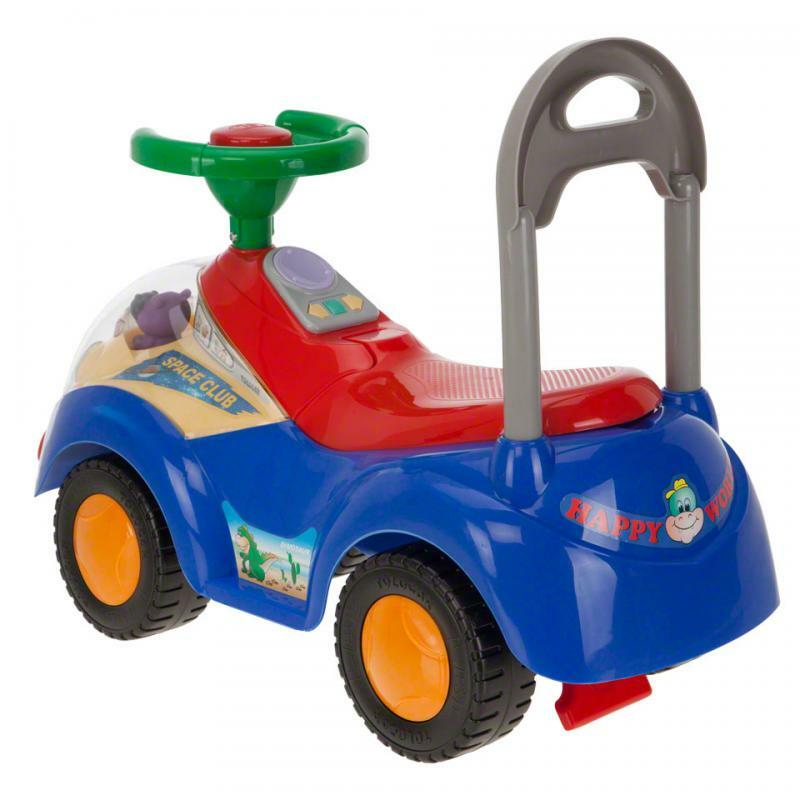 It also comes with a backrest to keep your baby comfortable and safe. 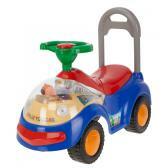 Feature 3 : Steering handle and wheels for easy manoeuvrability.